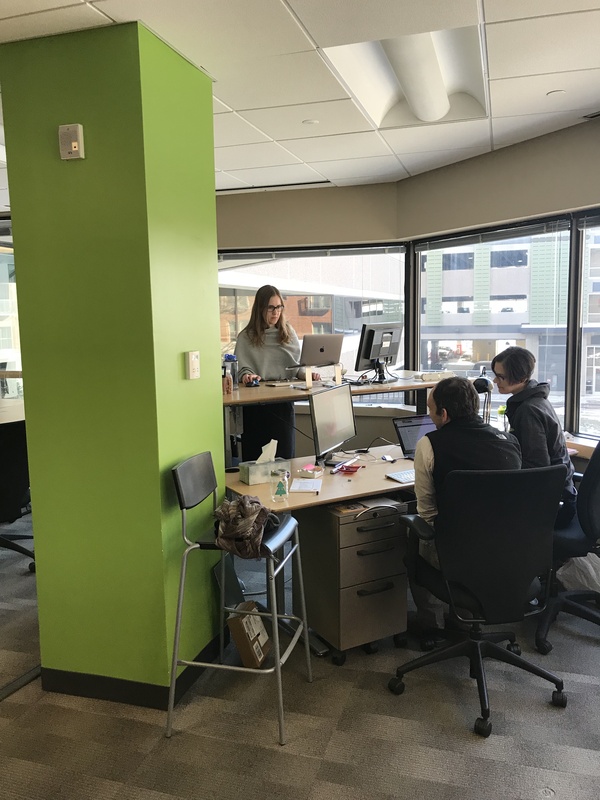 January 2, 2018 – Shoobx is kicking off 2018 in spacious new offices in Cambridge. Shoobx has moved up and out of their old Fenway area headquarters and into new offices in the Alewife neighborhood of Cambridge to accommodate their team as it continues to grow in 2018. 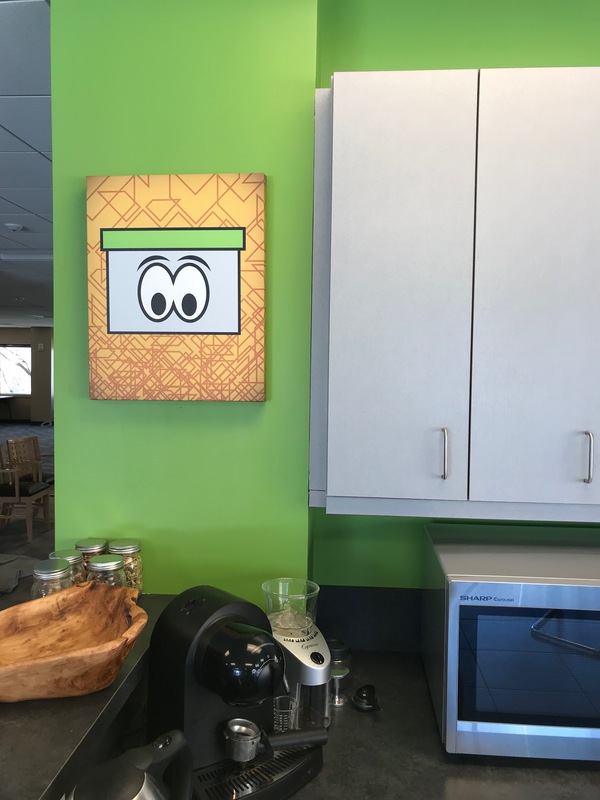 The new space features enough room for the 30 person employee headcount to double, pillars in classic Shoobx green, and a gallery’s worth of original Shoobx-inspired artwork created by members of the team. 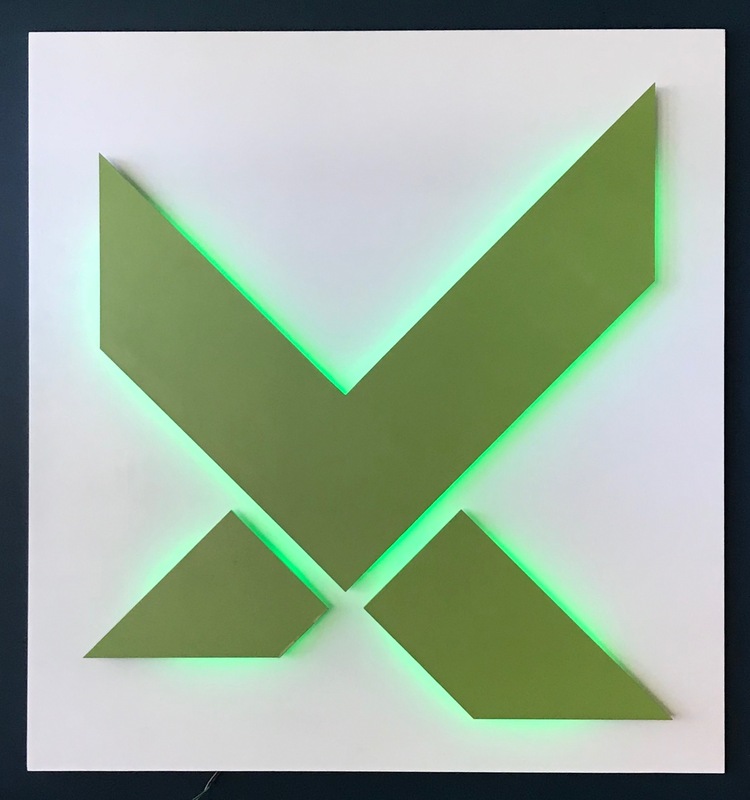 The pieces include a glowing wall-mounted X with color changing capabilities, a screen print of Shoobx mascot “Shooby”, and a grid of variations on the Shoobx logo. Also prominently displayed is the Shoobx build lights board, used to visualize the current state of the Shoobx code base. Shoobx’s legacy bubble hockey table has also found a new home in the lunchroom, perpetuating the company tradition of table hockey tournaments between developer sprints.